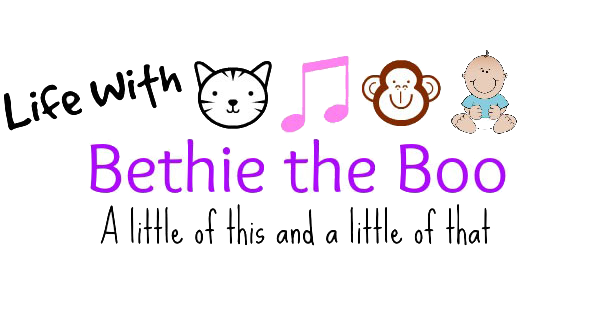 Life with Bethie the Boo: Who's in charge here? TGIF man, amiright? The end of the day yesterday was one of those days I wanted to just curl up in a corner and cry, but more on that in a minute. First off, it's the last day of our This and That Summer Trend challenge week. Today is pastel or neon. I more or less went for pastel as I have virtually no neon in my closet. I love what I've seen other bloggers do with the neon trend but I just haven't been able to get on board with it. However, I chose my bright pink bag today, closest thing to neon I actually own and probably the closest thing I will own. So this outfit is really more about the pastel! So back to my day yesterday. It was going along just fine and then my boss had to go to one of our clinic sites. This isn't unusual as she is the director of facilities for several clinics in our organization. We were expecting a delivery for the 2nd floor construction project in my building, but she said she knew I could handle it. So I'm doing my thing and getting ready to shut down for the day and realize the delivery hadn't shown up yet and like magic, the front desk called to let me know that the delivery guy was here. Better late than never I guess. So I said, have him meet me up here and I will show him where to put it. Now mind you it's a giant box and weighs about 300 pounds. I go to the elevator to wait for the guy and it's taking FOREVER. This is not a good sign. He finally gets off the elevator. Without the box. It won't fit. At all. Crap. So I called my boss - who always answers her cell phone, but apparently not when it's important - I could not reach her. Now I'm officially on overtime at this point. A half hour later I finally get in touch with my boss and we figure out a temporary solution after I spent the entire time flustered, looking like an idiot in front of patients and doing everything I can not to just break down and sob. And let me just say the delivery guy was kind of a prick about the whole thing. At least I get paid overtime. After I got home I had a well deserved beer and relaxing bath and then everything was better. But seriously. There is a reason I am just an admin - I do not do crisis management very well at all!! Anyway. It's Friday and I'm much happier today! You will want to make sure to check back here later today or possibly tomorrow - I will be posting my one year anniversary "favorite things" giveaway! Yes you heard me right, it's Beth's Favorite Things, ala Oprah. I can't wait to share the fun things I have for you! 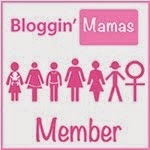 And I also can't wait to share some thoughts on one year of blogging - man time flies! Be sure to check out Megan Mae's blog to see the other This or That participants from this week and also make sure to check Keely's blog for a round up of each participants favorite look from the week! I have to decide on which one is mine! I am sorry to hear that yesterday was crummy. But it ended on a good note right? A beer and a bath? Hah! :) Oooh! I can't wait to see your favorite things give-away dear! Exciting! 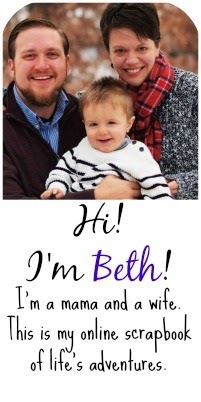 Aw, sorry to hear about your rough day yesterday, Beth! I hope today is better - and YES, TGIF!! You look cute in this outfit. I don't have any neon either. Ugh, that sounds like such a pain but I'm glad the crisis was solved and you were able to relax once you got home. It's good not to be the boss sometimes, I think :) Looking forward to your giveaway! 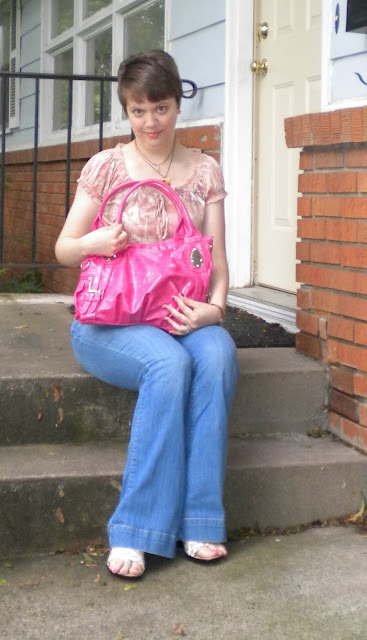 I love your Old Navy jeans and the bag adds a lovely pop of colour:) Hope you have a great weekend! I think you managed to get both challenges in! I have way more neon than I realized, however it's in the more saturated range than highlighter. Aww I'm sorry about your rotten day. I'm one of those people that tends to thrive under pressure - and then go and cry. I get all creepy quiet and slightly-sarcastically mean. Haha. Don't let the delivery guy get ya down. Good for you enjoying a nice drink and bath to soothe the day away! I think I needed one of those after the lady in the market yelled at me yesterday. 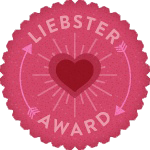 Congrats on your blog-o-versary dear! that sounds like a really stressful way to end a friday! it is so hard when you don't have enough information to do your job or make decisions when your boss isn't around. i'm glad it all got worked out within a relatively short time period! BTW, i am so curious about where you work - i hope that isn't creepy since we live in the same area, haha. I love this ensemble! The top and jeans fit you so nicely and really show off your shape. And what a fun, bright bag! Love that you worked two trends into one outfit. 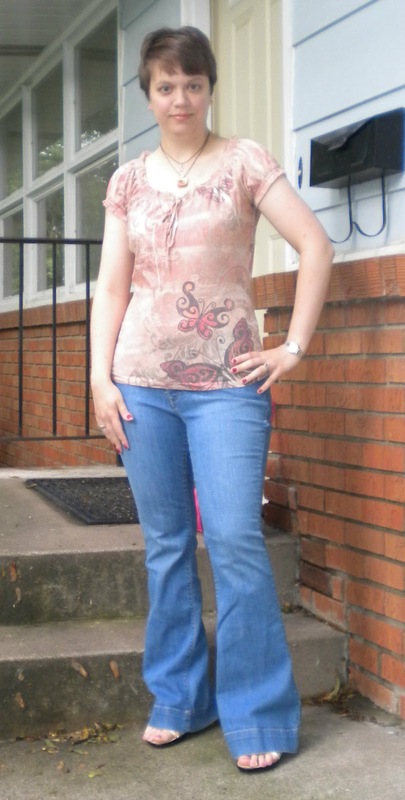 The pastel top and jeans are so perfect for a casual Friday, but that bag really adds a fun pop of color.